"Ladies, ladies, I don't mean to brag, but ... I'm the greatest." The occasion for the media attention given Sasha and his subsequent verbosity was a glorious 103-101 overtime win for the New Jersey Nets over the New Orleans Hornets last Wednesday. 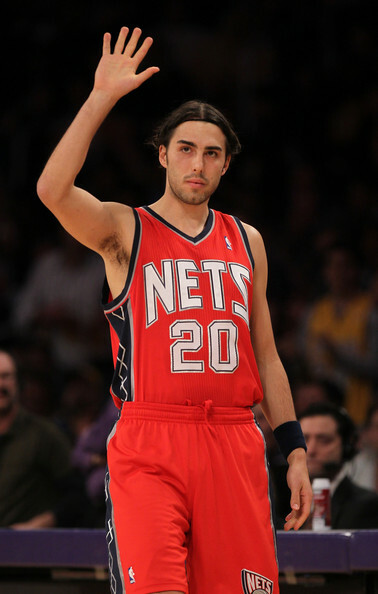 Vujacic went for a career-high 40 points 35 points 25 points. The Slovenian was also looking great in the post-game interview. Really, BiE congratulates Sasha and the Nets for this statement important much-needed win, though remains skeptical of Vujacic’s potential as a LeBron-level scorer. Tell you what, though: He’s definitely at Hoylesque levels.